Reliable and affordable domestic cleaning services in Maida Vale W9 performed by professionally trained cleaners from First Class Cleaner. Get a free and non-obligatory quote now! Every person wants to have a nice looking and sparkling clean home but with the insufficient free time these days, this task could look unachievable. The hard-working professionals of our company, however, love the challenges and they are capable of providing you with five-star domestic cleaning every week for as long as you require it. The bigger home you have, the harder is its maintenance but for our well-prepared specialists nothing is impossible for cleaning. The professional domestic sanitation we can supply you with has special treatments which are created with a lot of care by our experts, to disinfect and protect every nook and cranny from your real estate property. Our employees have thought of everything, from the best methods for removal of grease from your oven to the most productive techniques for sanitation of your stained carpets. 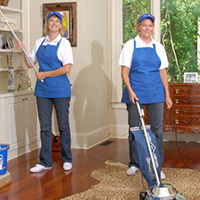 Our cleaners are recognized specialists of the domestic cleaning and will prove it you, if you give them that chance. Thoroughly trained every month, our employees stay always up-to-date when it comes to the products and technologies in the modern professional domestic cleaning and the best working methods. Book now the effective procedures we are offering you for your property and see how much better you will feel living there afterwards. The fastest way to receive our treatments is with a reservation over the phone. A quick trip to our main headquarters in London will also guarantee you our competent assistance, so pick your way and contact us.